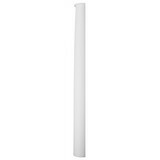 Decorate plain tapered and non-tapered round half columns of various sizes. Half Column Outside Diameter: 8-5/8 in. Half Column Inside Diameter: 5-1/2 in. Half Column Projection: 4-3/8 in. Half Column Height: 79-1/8 in. Half Column Inside Diameter: 8-1/2 in. Half Column Projection: 5-7/8 in. Half Column Top Diameter: 9-7/8 in. 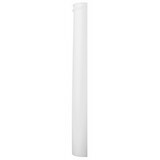 Half Column Bottom Diameter: 12 in. Half Column Height: 79-1/2 in. Half Column Projection: 6-1/2 in. Half Column Top Diameter: 10-5/8 in. Half Column Bottom Diameter: 13-1/4 in. 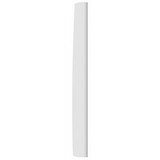 Half Column Height: 94-1/2 in.